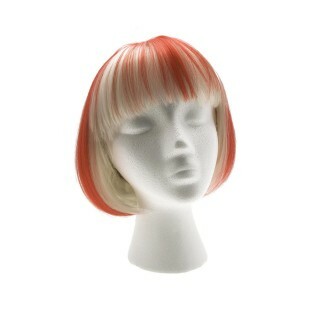 Great for character dressing, American Dream party wigs are made of synthetic fibre (fake hair). Choose from popular styles in multiple colours. Machine crafted with a capless wefted base,these wigs are pre-styled, ready to wear - perfect for those last minute costume-dos. Discover our range below & pick up an affordable but high quality American Dream party wig today. FOR MORE STYLES, PLEASE SEE WIGS & HAIR LOSS CATEGORY.